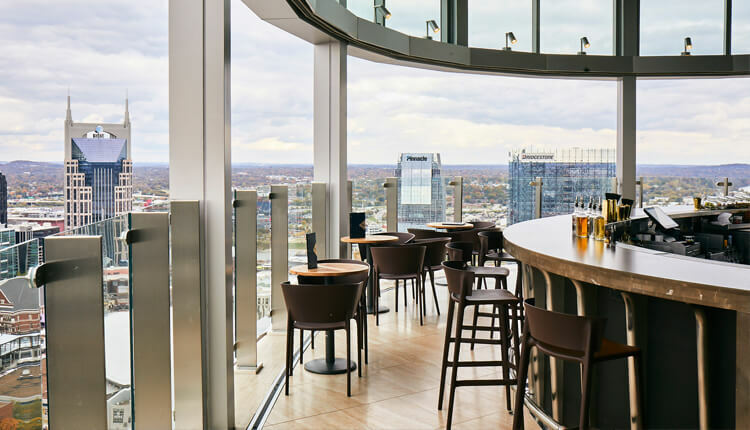 With 360-degree views of the Nashville skyline, BOURBON STEAK by Michael Mina offers guests an innovative American steakhouse and timeless dining experience with a twist. 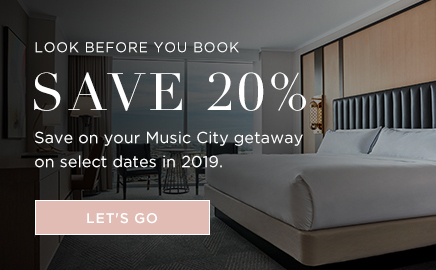 With panoramic views of Nashville, the rooftop lounge is our crown jewel, a culminating moment of our hotel’s signature experience, attracting in-the-know locals as well as hotel guests. Modern American cuisine built on the freshest local ingredients, from breakfast through bedtime. 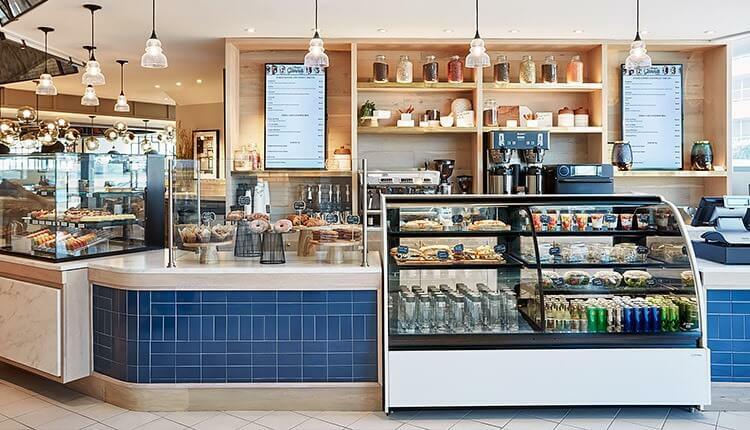 For morning cappuccinos, late-night nibbles, and every bite in-between, Stompin' Grounds Market is our go-to for quick, creative food that nourishes your on-the-go spirit. From early afternoon sips to late-night spirits, the Cumberland Bar makes every occasion a celebration. Unflaggingly cool and undeniably fun, Cabana Club is our pool deck bar and grill, serving delicious eats and refreshing sips from sunrise to sunset.